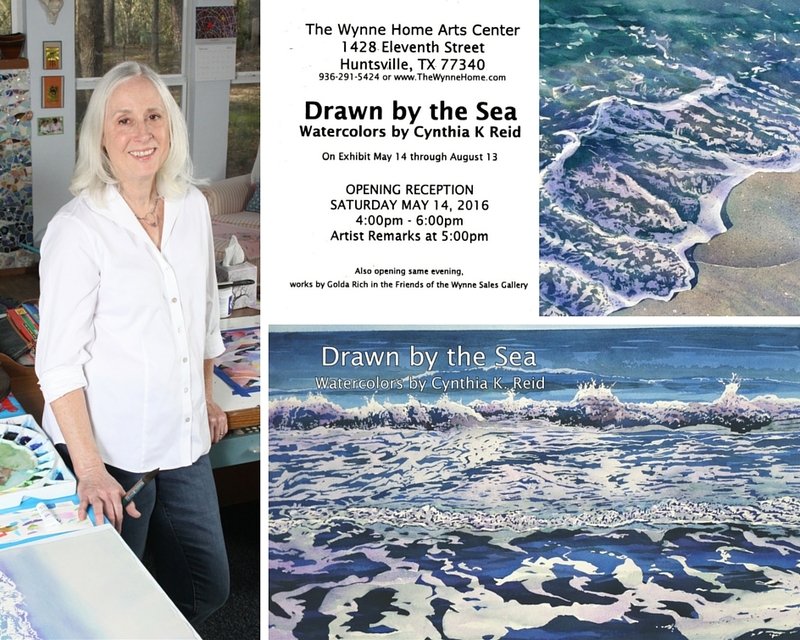 The Wynne Home Arts Center will be hosting Cynthia K. Reid’s exhibit of her sea-themed watercolor paintings, Drawn by the Sea. Come join the Wynne Home on opening night, Saturday, May 14 from 4 p.m. – 6 p.m., and hear Reid’s remarks at 5 p.m. The exhibit will run from May 14 through August 13. ⇐Previous The Wynne Home ReadingsNext⇒ Outdoor Explorer: Animal Tracks!